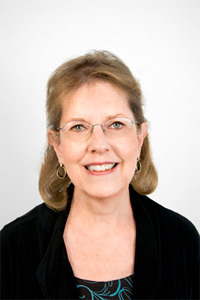 Cynthia G. Brown is a senior fellow at American Progress. She was previously the vice president for Education Policy at American Progress and formerly served as director of the “Renewing Our Schools, Securing Our Future National Task Force on Public Education,” a joint initiative of the Center for American Progress and the Institute for America’s Future. Brown has spent more than 35 years working in a variety of professional positions addressing high-quality, equitable public education. Prior to joining American Progress, she was an independent education consultant who advised and wrote for local and state school systems, education associations, foundations, nonprofit organizations, and a corporation. From 1986 through September 2001, Brown served as director of the Resource Center on Educational Equity of the Council of Chief State School Officers. In 1980, she was appointed by President Carter as the first assistant secretary for civil rights in the U.S. Department of Education. Prior to that position, she served as principal deputy of the Department of Health, Education and Welfare’s Office for Civil Rights. Subsequent to this government service, she was co-director of the nonprofit Equality Center. Before the Carter administration, she worked for the Lawyers’ Committee for Civil Rights Under Law, the Children’s Defense Fund, and began her career in the HEW Office for Civil Rights as an investigator. Brown has a master’s degree in public administration from the Maxwell School at Syracuse University and a B.A. from Oberlin College. She serves on the Board of Directors of the American Youth Policy Forum and Perry Street Preparatory Public Charter School.